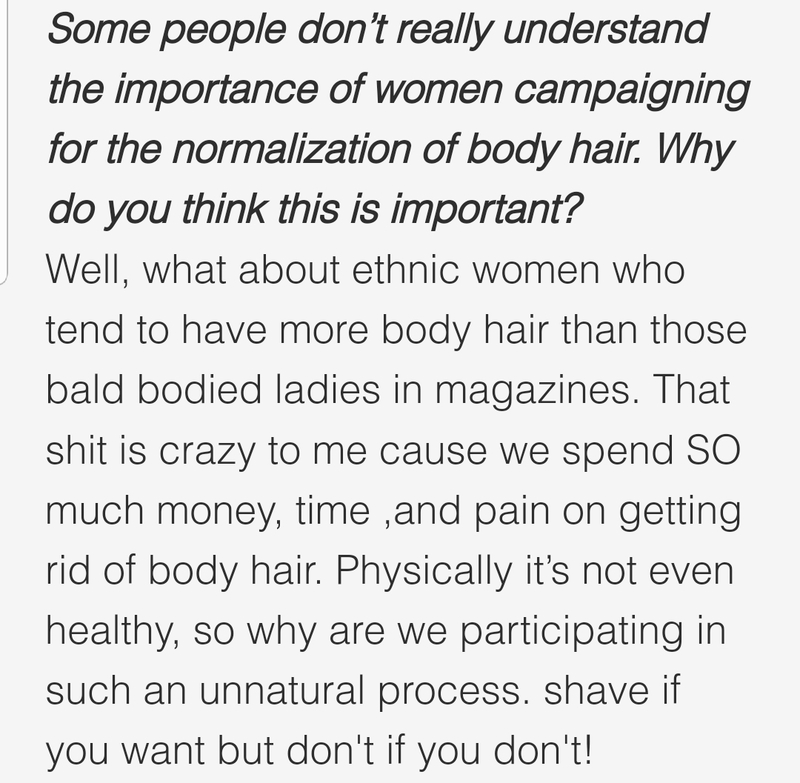 It's natural, like they don't need to hide their hair just because society wants them to or something like that. Is she really ***** or is that an educated guess? Oh, i'm gonna like her.